Giveaway for Glossy Lala fans-CLOSED - Be Glossy In and Out! As announced, Glossy Lala has a giveaway for FB fans. It is a handmade gift made by us and we offer it to a lovely person who is already a FB fan or it will become one by Like-ing us. The most active fan of Glossy Lala page will win this Fimo handmade set on March 1st. 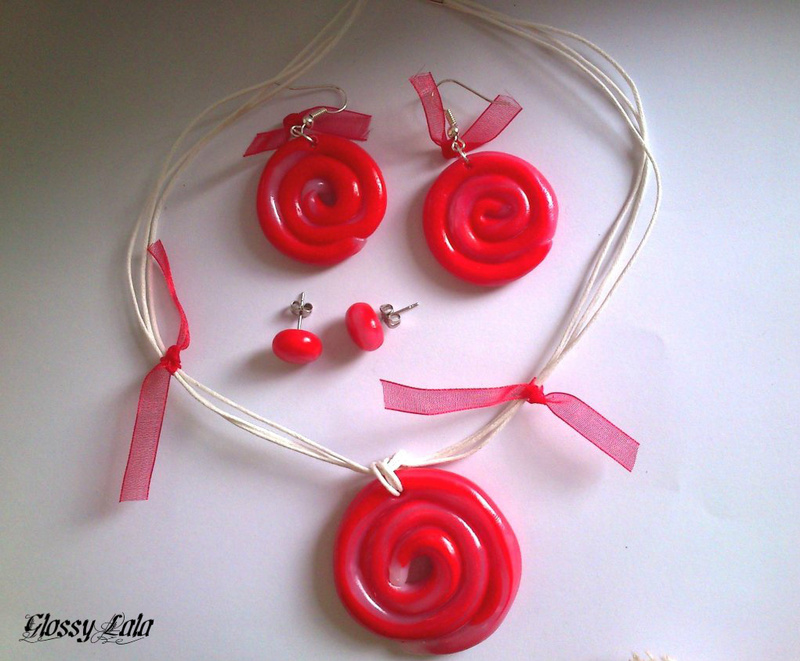 The set contains of a necklace and 2 pairs of earrings in the colors of spring. The metal accessories are silver plated. Comment on our FB page and be active and it can be yours! LAST EDIT: The winner of the handmade jewelry set is: Andreea Deeb!!! Congratulations!